eDab Spin Variable Voltage Cartridge Battery Special Deal: Order today and receive a cordless USB Mini Charger for FREE! 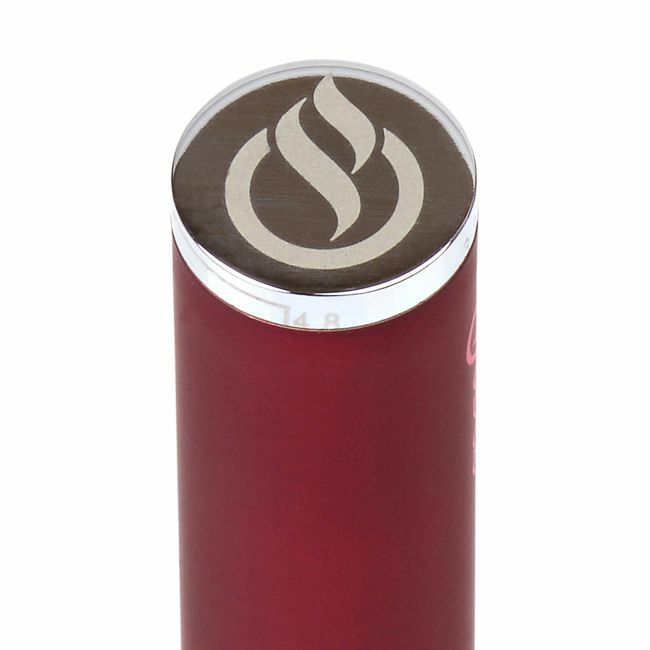 Put a "Spin" on your essential oil and wax cartridges for a truly customizable experience. 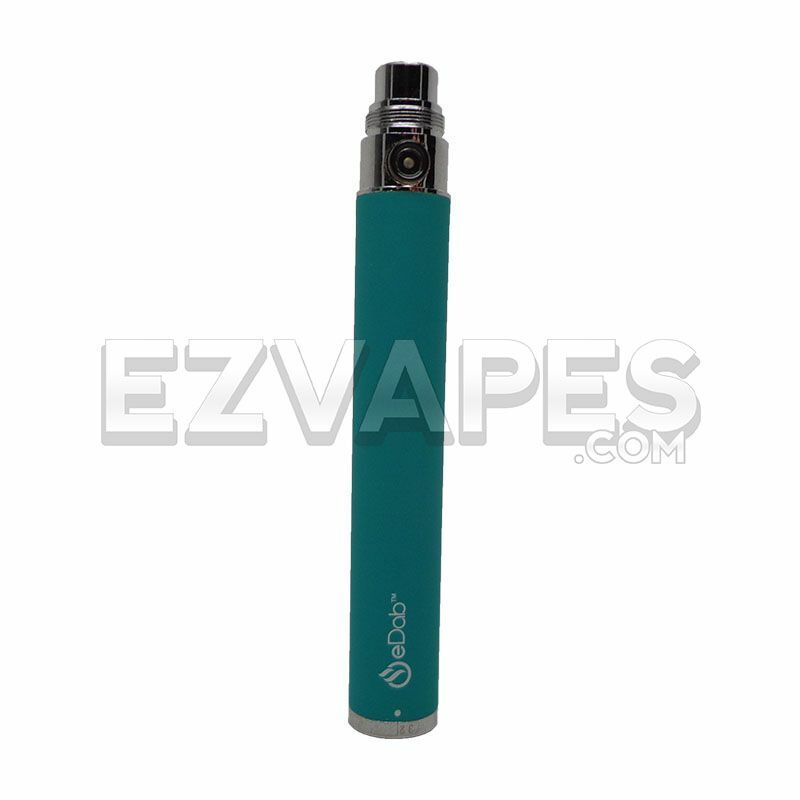 The Spin battery by eDab far surpasses similar batteries in functionality and quality. 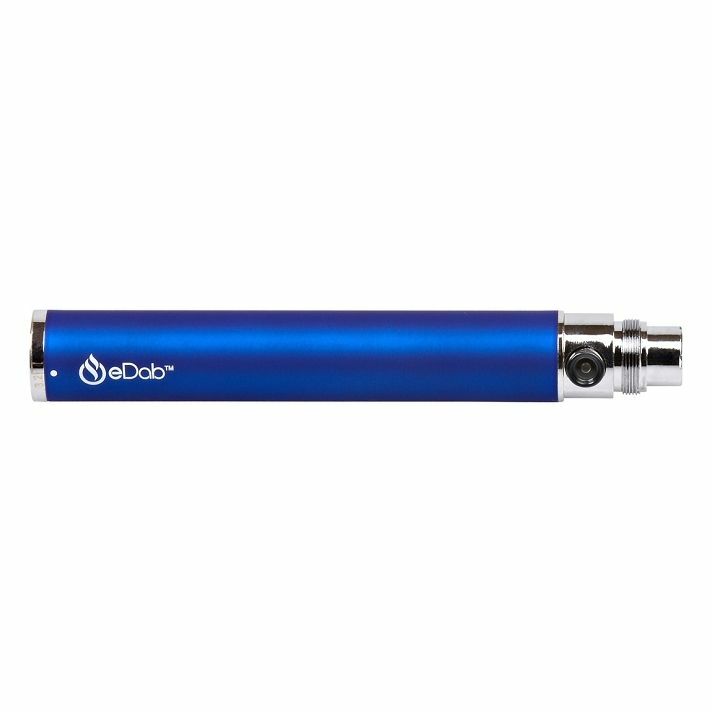 Among the ever-growing range of cartridge batteries available on the market, the eDab Spin is one of, if the not the most versatile. 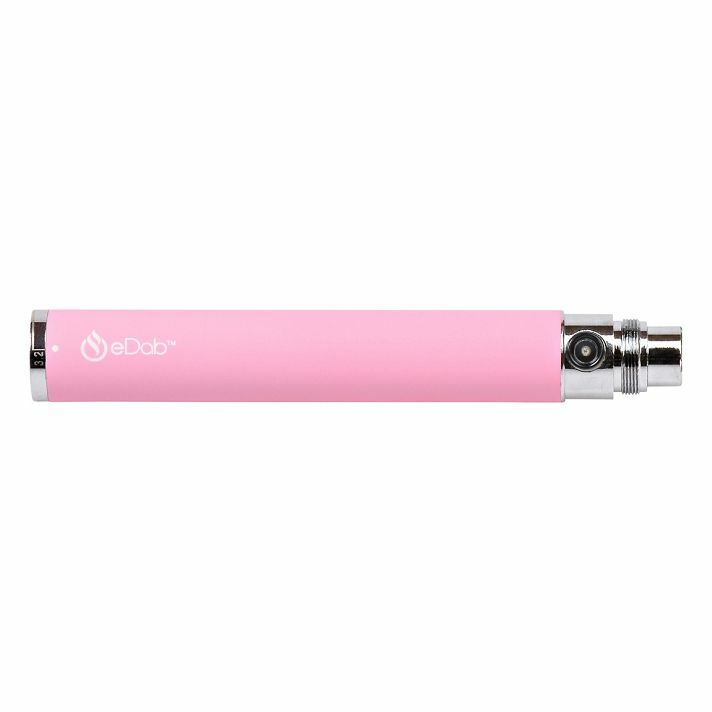 This is due to its unique ability to allow the user to adjust the voltage output precisely, as opposed to most other cartridge batteries that are not adjustable or offer just 2 or 3 presets. 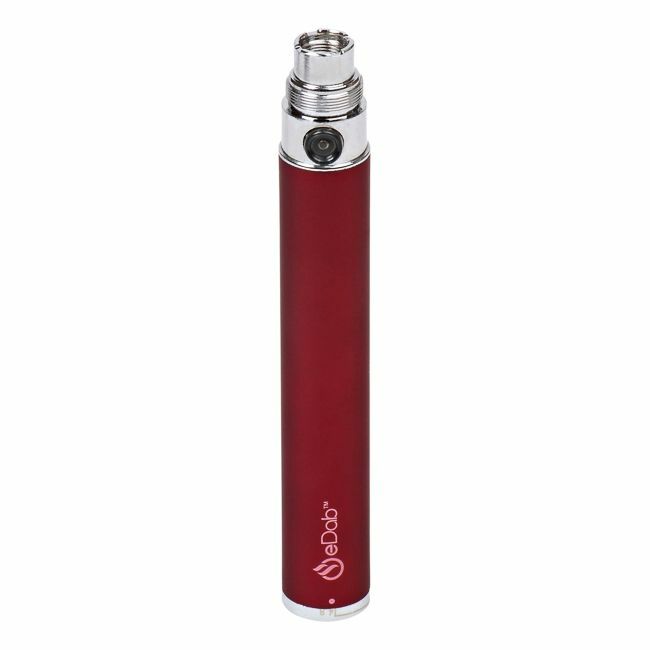 The Spin 650mAh battery connects to any 510/ego thread cartridge and features a variable voltage output. 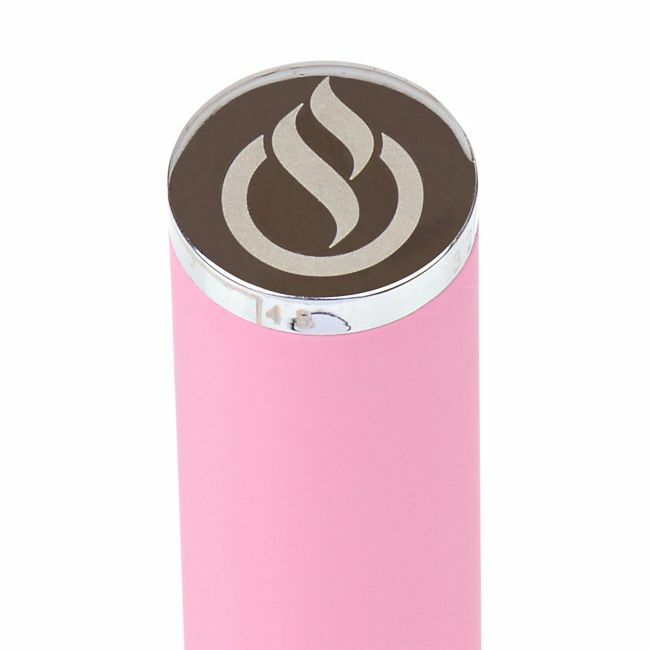 Spinning the numbered dial located at the bottom of the battery will instantly change the voltage output anywhere from 3.2V to 4.8V, giving you ultimate control over your vapor experience.This versatile pen style battery can be used prefilled and reusable essential oil cartridges alike. (Most cartridges should be used in the 3.7-4.2V range.) But that's not all. 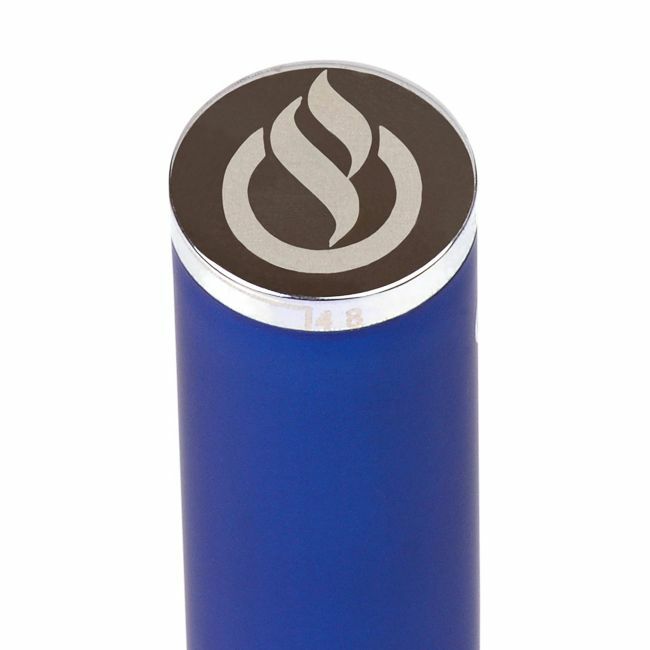 The Spin has enough to power an entire range of compatible wax attachments and atomizers, making it a true 2-in-1 for concentrates! Overcharge protection and accidental discharge safety features help to protect and prolong the life of your battery. When you're ready to travel, just press the button 5 times to activate the lock safety feature. This will prevent the battery from accidentally going off in your pocket or bag, which means no wasted battery life or material. 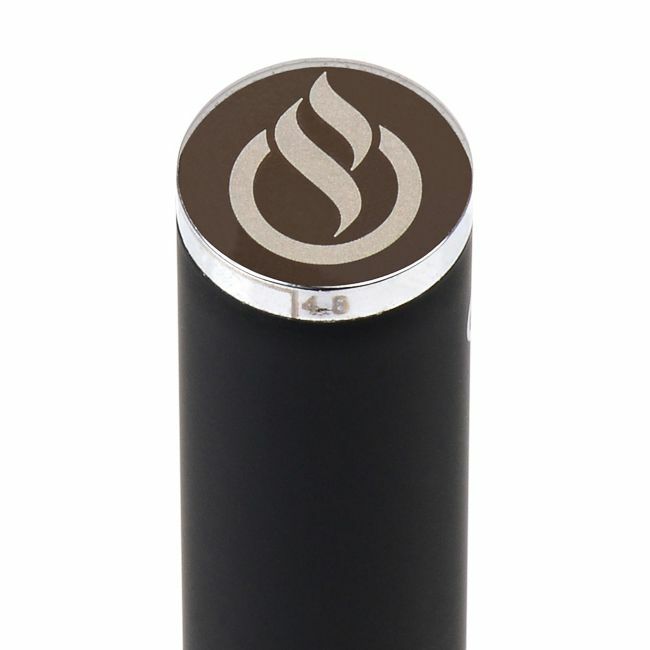 Quickly press the button 5 more times to unlock the spin when you're ready to vaporize for quick, stealthy vapor puffs on the go. 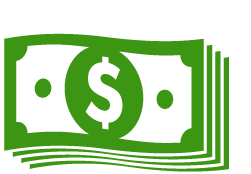 The Spin also features overheat protection so that if the button is held for more than 10 seconds it will automatically pause itself. This is intended to prevent overheating of the battery and any cartridge attached. 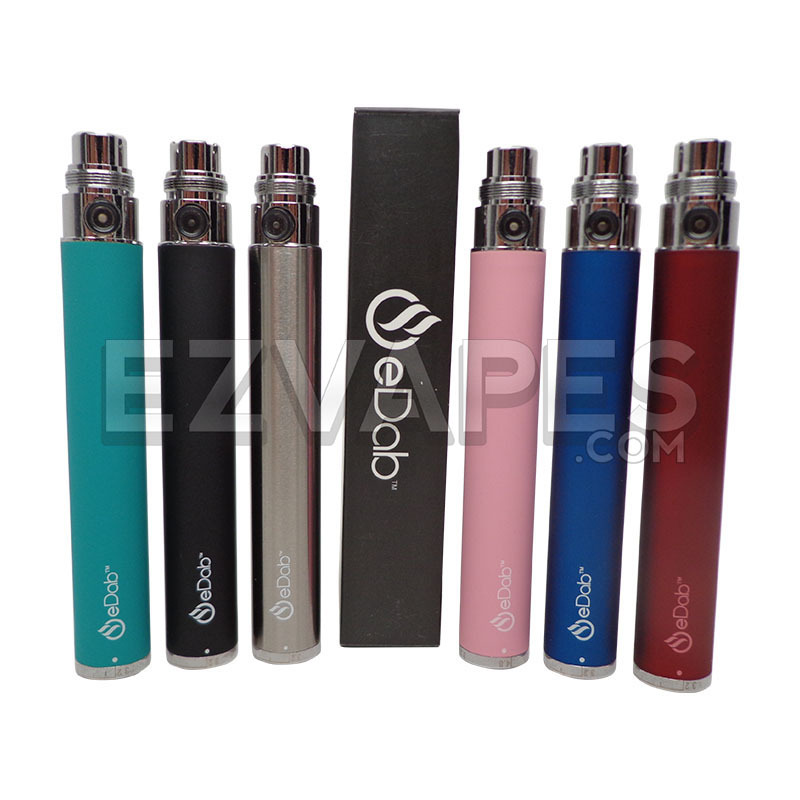 Most atomizers can't handle extended heating times, so this feature prolongs the life of the battery significantly. Recharge a completely depleted Spin battery in as little as 2 hours, but If you forget your battery on the charger, 5 times overcharge protection will assure that it does not take on more power than it can handle. With its 650mAh capacity, the Spin can be used extensively before needing to be recharged. The Spin battery is marked with the official eDab logo on the side and on the bottom of the voltage dial, so you can show off your authentic eDab battery with pride.